Hi there! 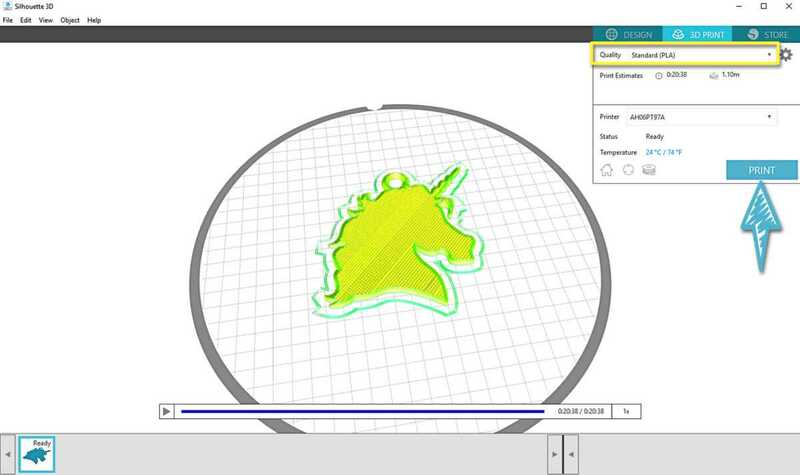 Kelly here today to show you an easy way to use your Silhouette 2D designs with your Silhouette Alta® 3D printer. 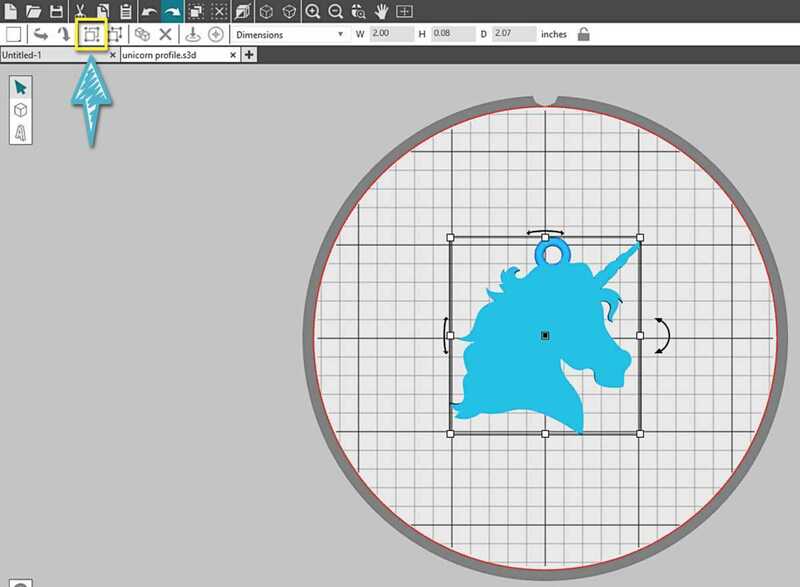 You’ll learn how to convert designs in Silhouette 3D™ to make custom keychains. 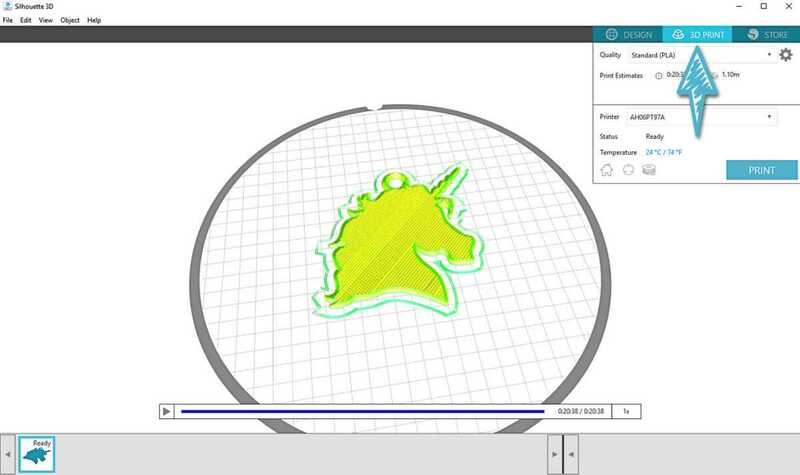 In Silhouette 3D™, find your purchased unicorn design in the Library by navigating to its folder or by using the search function. 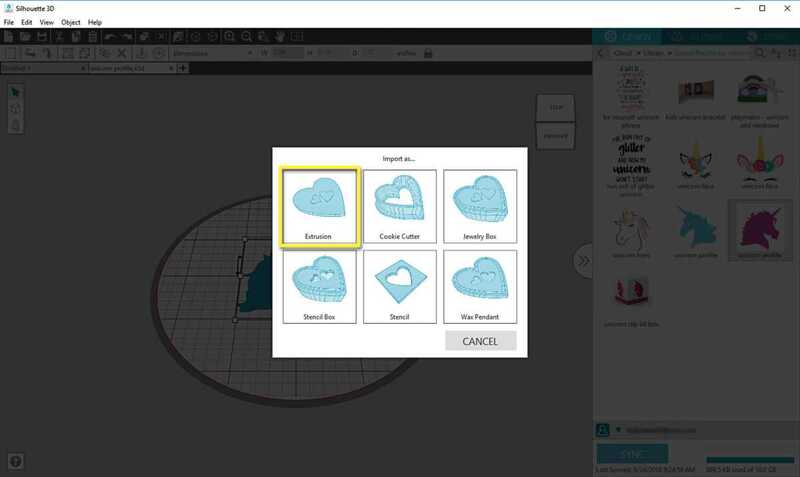 Note: If you’re unfamiliar with how to access your 2D designs in Silhouette 3D™, please see this written tutorial or this video tutorial. These tutorials also cover some basic Silhouette 3D™ software navigation. 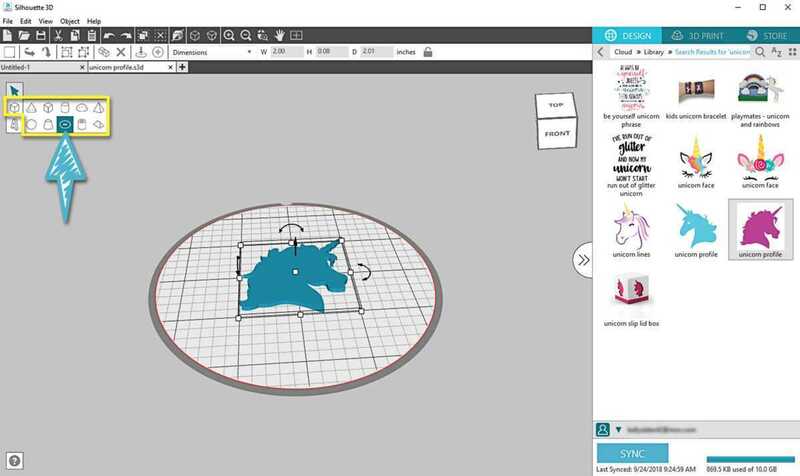 Double-click the thumbnail to open the design, and use the Extrusion import option. Resize the design to 2.0 inches wide by setting the Dimensions to 2.0 W with the aspect ratio locked. 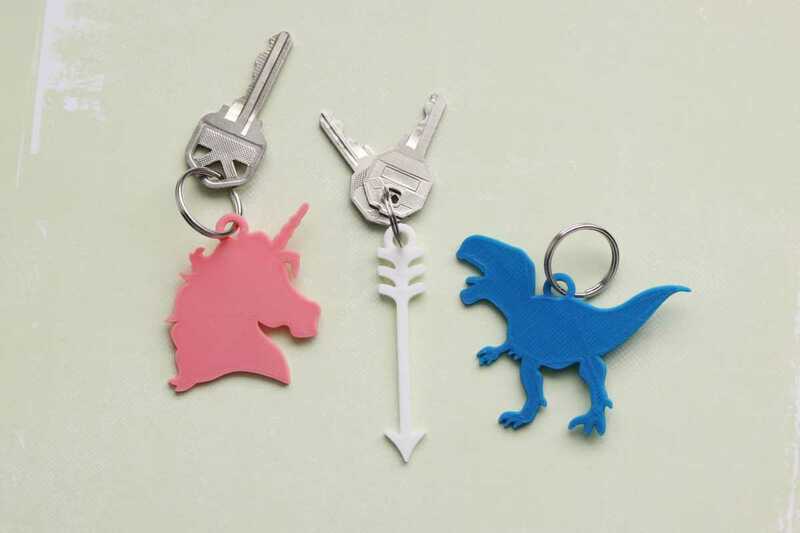 If you’re using a different design for a keychain, you can use whatever dimensions you want that fit on the build plate, but just keep in mind that you don’t want it too large and you don’t want to lose detail by making it too small. 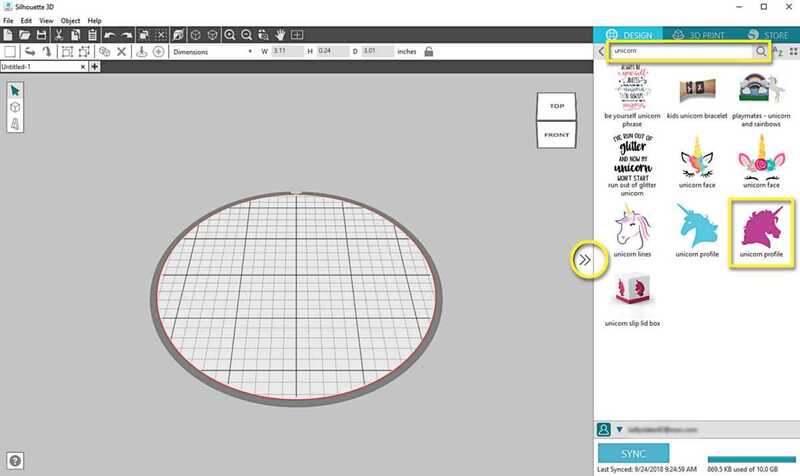 To add a loop to the design, go to the Create Shape tool and select the Torus. Move the torus off to the side so you don’t lose it when resizing smaller. Resize the Dimensions for the torus to 0.38 inches wide (with the aspect ratio locked). Resize the Dimensions for height (H) to .08 inches (with the aspect ratio unlocked). 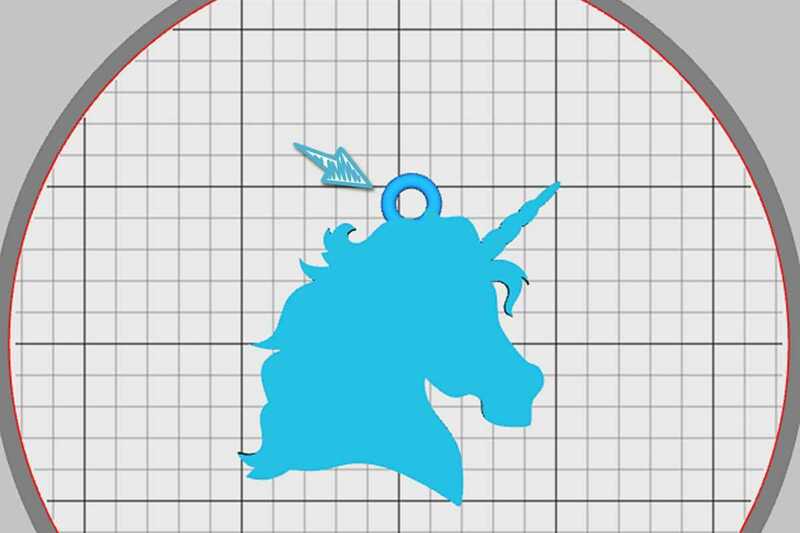 This should be the same height to which you set your main shape. Select the Top View by dragging and clicking on the top face of the cube in the upper right corner of the Design page. Reposition the loop so it overlaps the rest of design. Make sure it overlaps enough that it won’t be at risk of breaking off with use. Select both parts of the design and Group them. 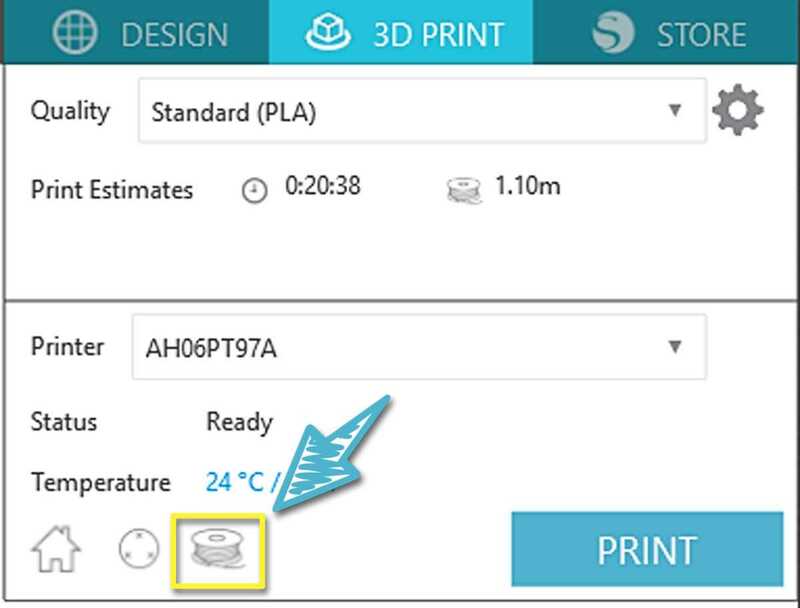 This fuses the pieces together, acting as a weld in Silhouette 3D™ so that the parts print as a single piece. 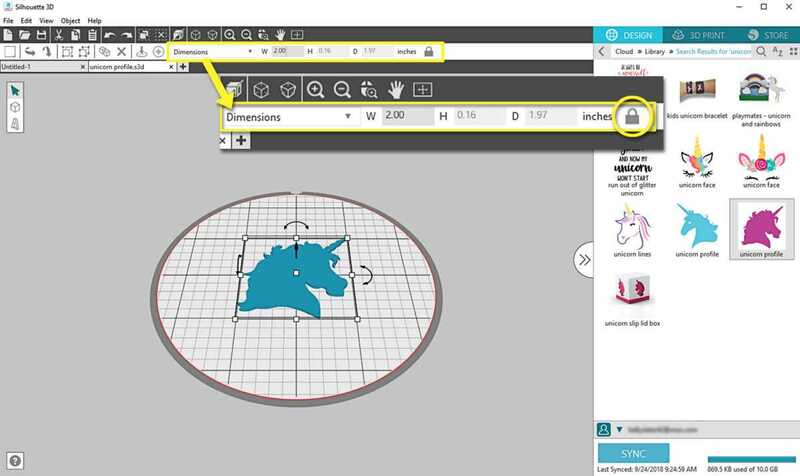 Go to the 3D Print navigation tab. Calibrate your machine, if necessary, as described in this video. 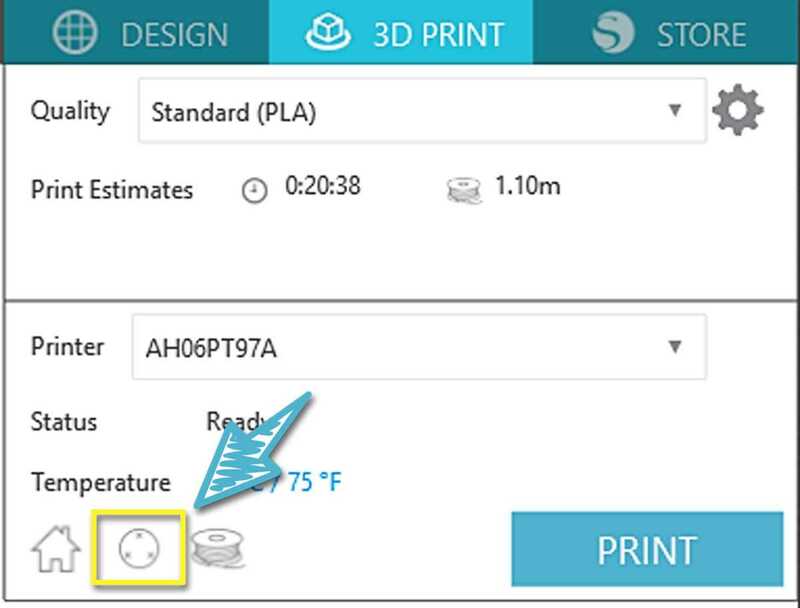 Load the filament as described in the on-screen instructions and in this video. Choose standard or high print quality, and then send to Print. And watch it in action, of course! 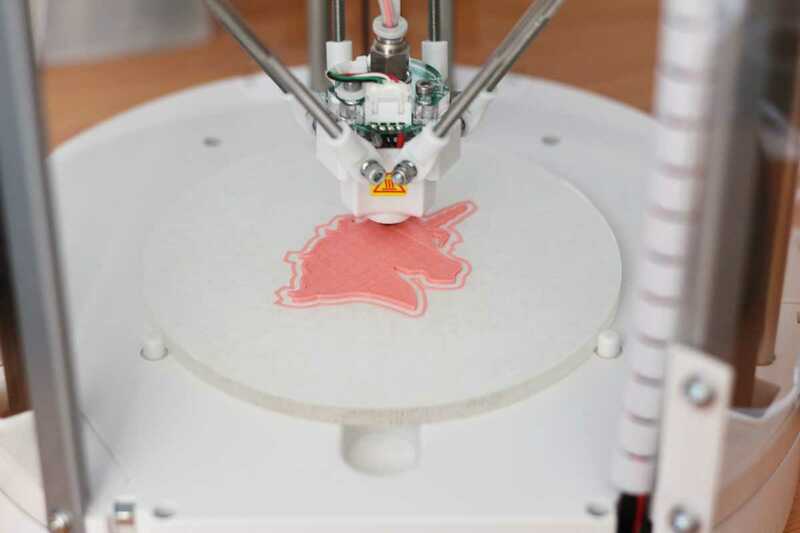 Let the object cool when finished, and then carefully lift the piece from the print bed using a spatula tool and discard the outer brim. 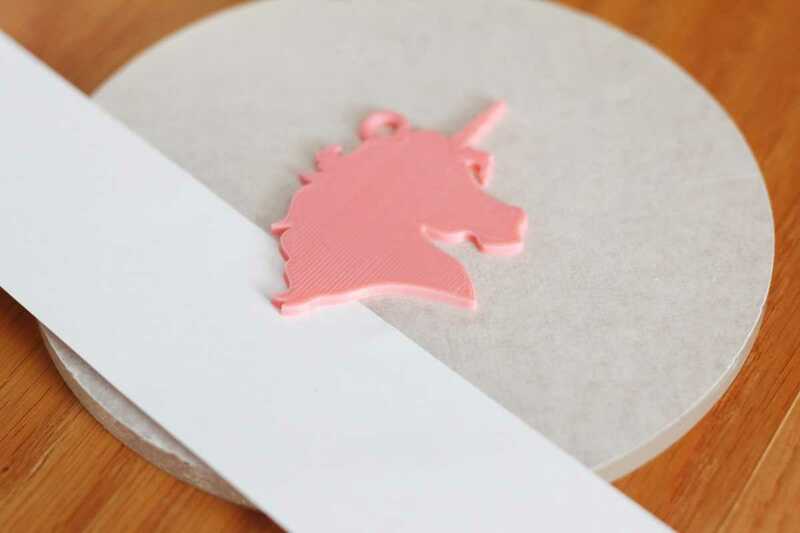 Tip: If you have a really tight seal, find an edge with a little room underneath and slide a piece of paper back and forth under the print until it releases. This helps avoid any nicks in your platform tape, which can be used multiple times while in good condition. 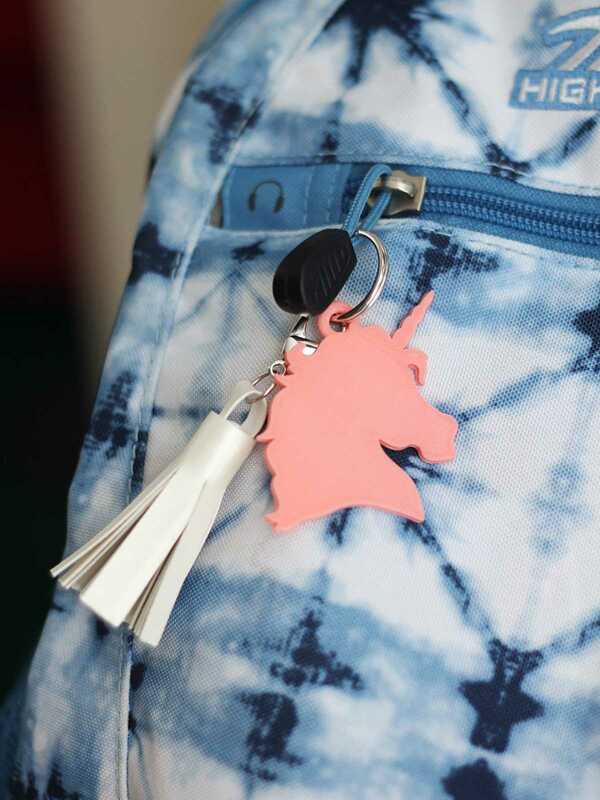 Add a key ring, and you’re finished! 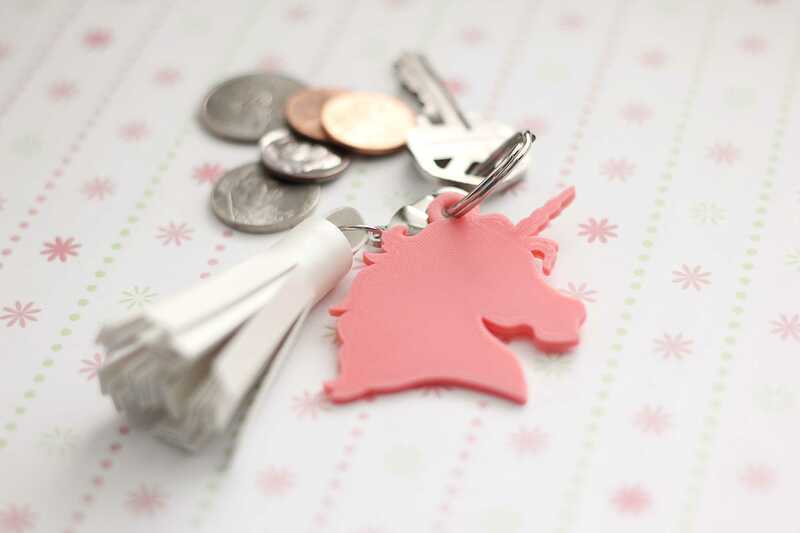 You can make any kind of keychain you want this way to suit the different interests of your family and friends. Here’s one last tip for you. 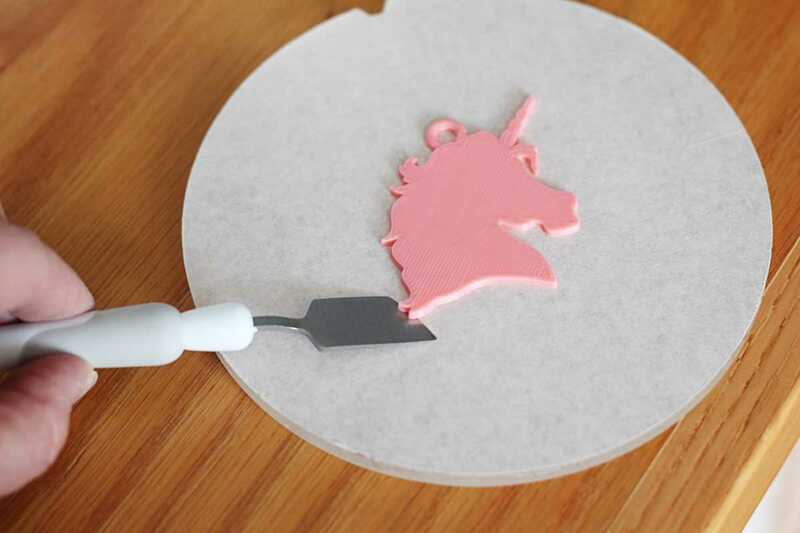 This same process can be used to convert designs to earrings and necklace pendants too! 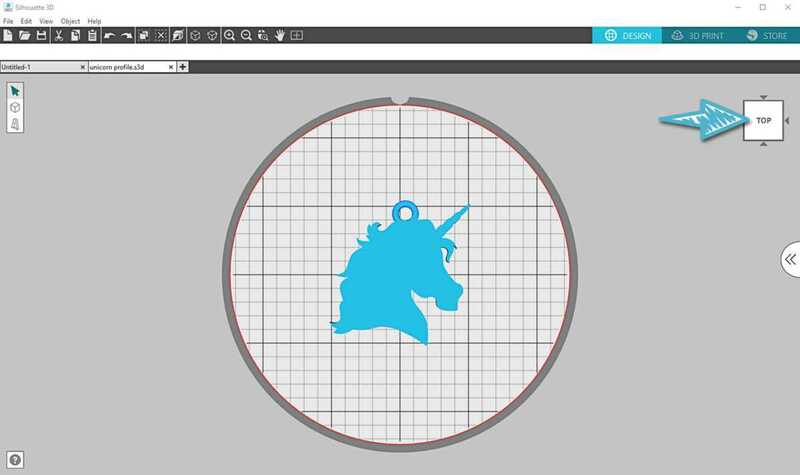 If you want an even easier way to create keychains, search charm in the Design Store, and you’ll find lots of designs that should work for you with no manipulation other than resizing. What kind of keychains would you make with your Alta? I love this idea. But I do have a question. After you make something like this, can you etch it on the Curio? That’s a good question. I haven’t tried it. Usually when you etch materials on the Curio you’re working with a smooth surface. Since 3D prints aren’t totally smooth, I’m concerned the etching tool might catch on the rough edges and not do a clean job. If you try it out, let me know how it goes!